Food prices ticked up 0.1% in July, but consumers got relief from energy prices, which fell 0.3%. Consumer prices held steady last month, as falling energy prices largely canceled out slight increases in food, clothing and shelter. The government's key measure of inflation, the Consumer Price Index, showed consumer prices were unchanged in July. Economists had expected prices to edge up 0.2% over the month, driven partly by rising food prices. Steady prices could be a welcome sign for the economy, if they lead to a pickup in consumer spending. Earlier this week, a separate report showed retail sales recently rose for the first time in four months. But a low inflation rate can also be a sign of weak demand. Along with flat hourly wages in July, it shows consumers aren't necessarily any better off in July than they were a month earlier. "Lower prices are good because they leave more money in consumers' pockets," said James Marple, senior economist with TD Economics. "On the other hand, it does represent a relatively weak economy." 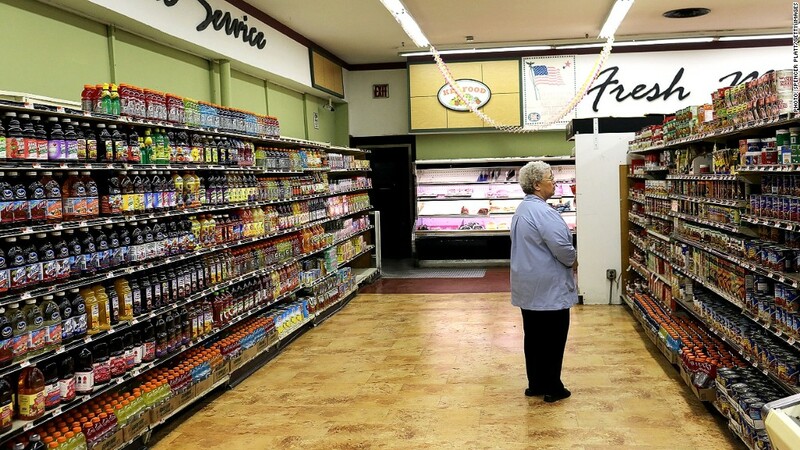 Despite the Midwest drought, food prices only ticked up 0.1%. Higher prices on corn, wheat and soybeans are likely to drive inflation higher later this year, but only slightly, given food accounts for only 14% of the CPI's basket of goods. Meanwhile, consumers got relief from lower prices on electricity and fuel oil in July. Overall, energy prices fell 0.3%. Prices rose slightly on clothing, shelter and medical care. The price of traveling declined significantly though, as both airfares and prices at motels and hotels fell around 3%. On an annual basis, the CPI was up 1.4%, a slowdown from June when it was up 1.7%. Tame prices could give the Federal Reserve some leeway to stimulate the economy at its next meeting in September. The central bank aims to keep core inflation around 2% a year. That measure, which strips out food and energy prices, is currently up 2.1%.